I didn’t really care about visiting Warsaw, but I went anyway. It seemed the appropriate thing to do when you travel to Poland. I was already so in love with Kraków, I thought it would be impossible to appreciate Warsaw. Warsaw was rebuilt – a replica – of what it once was. That seems…unauthentic. But then I walked into Warsaw square. The magic and charm won me over immediately. 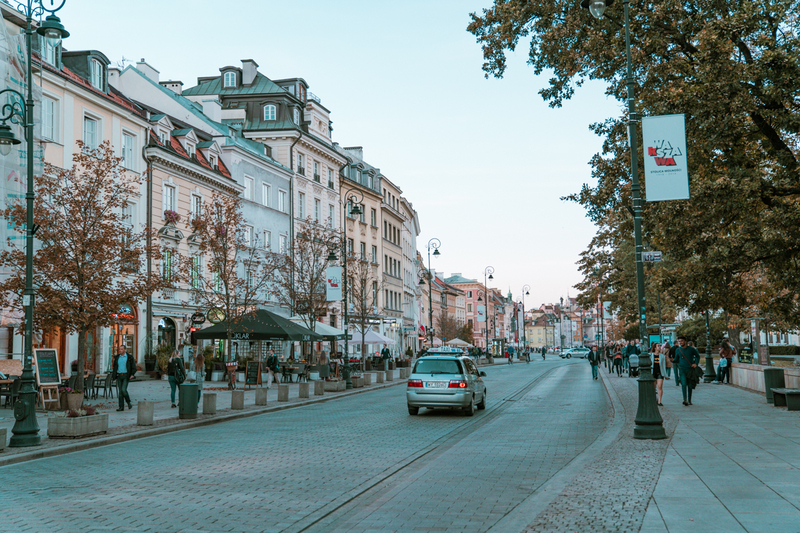 There is so much to see and so many things to do in Warsaw, Poland, I was completely won over! Perhaps the unique history of being crushed to rubble and then choosing to rise again, starting from scratch, is just as special as a city that survived WW2 unscathed. Maybe what makes visiting Warsaw so rewarding is the parallel to a “rising phoenix” and the resilience of its people. The Nazis bombed the city to utter destruction. There are images around the city showing how much of it was leveled. Between the destruction of the 1939 invasion of Poland, the Warsaw Ghetto Uprising in 1943, and the main Warsaw Uprising in 1944, which was the largest military resistance effort against the Nazis and a very special even in Warsaw’s history, 85%-90% of Warsaw was leveled. Hitler planned the systematic destruction of Warsaw all along. 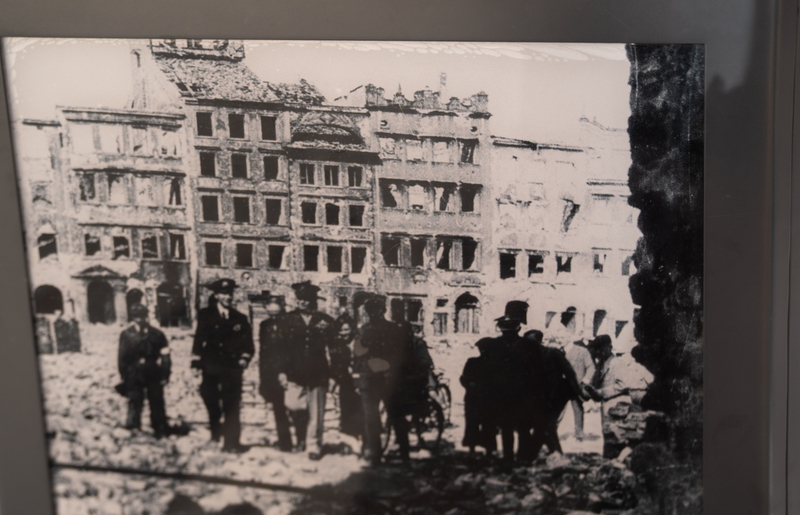 However, as an act of revenge for the uprising, flamethrowers and explosives were used to demolish house after house, historic monuments, schools, libraries, and any Polish archives or places of interest. 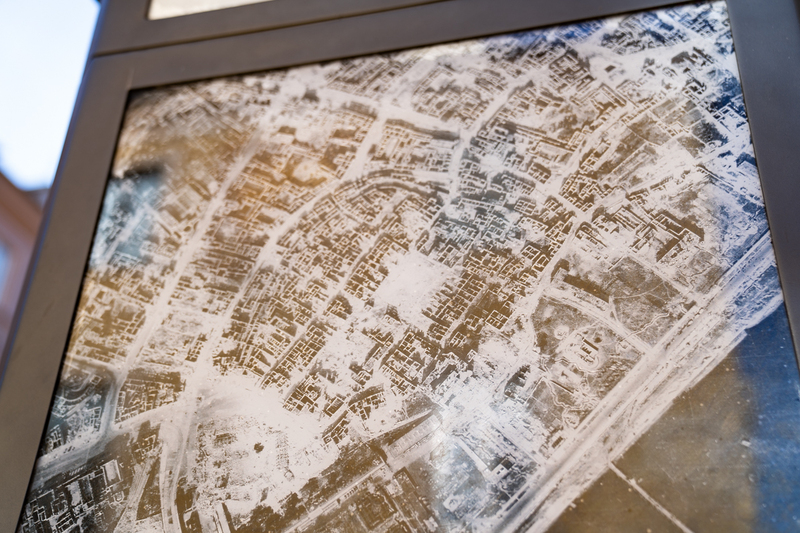 Visit the US Holocaust Museum Online for unique videos of the city after the destruction. Another interesting article with incredible photographs can be found HERE. Warsaw is unique. Residents considered abandoning the capital and starting over elsewhere. But eventually they decided to use the rubble to reconstruct. To rebuild the city, old architectural drawings and paintings by artists from pre-World War 2 were consulted. The Old Town and Royal Route were reconstructed to their former glory during the 1950’s to 1970’s however, with the new Soviet presence following the war, much of the city was rebuilt and expanded with Communist influence and style. 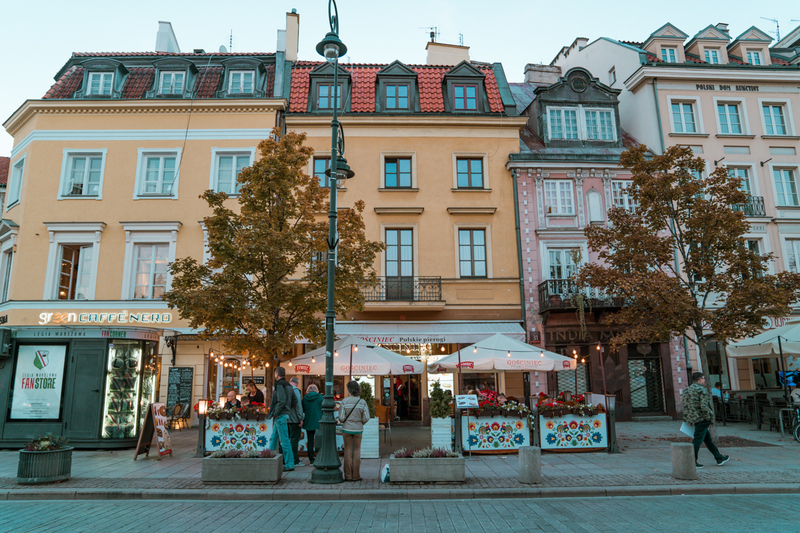 Today, Warsaw is a mix of modern and “old” with the historic old town replica in the center. 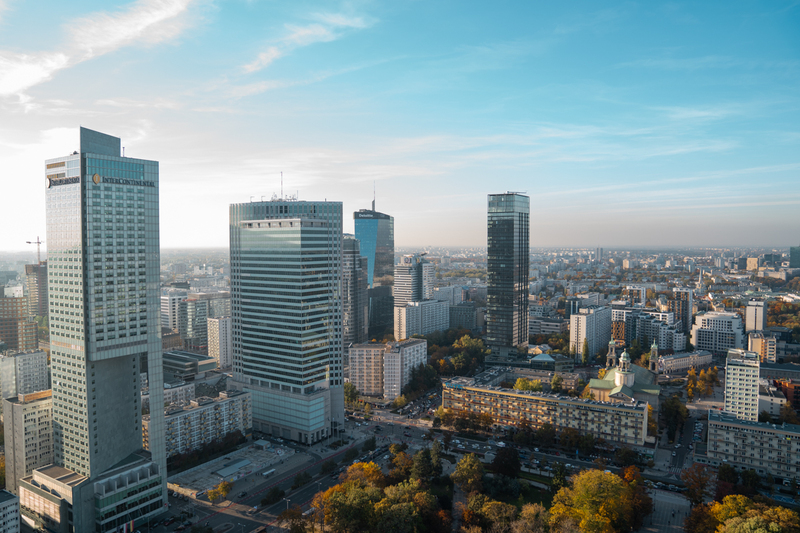 When visiting Warsaw, you can fly into Warsaw’s international Chopin airport, which is 10km from the city center, you can take a train from other European cities, or take a bus. We found the train from Krakow to Warsaw to be lovely. You can buy train tickets online in English HERE. Local airlines and bus tickets can be purchased with GoEuro. 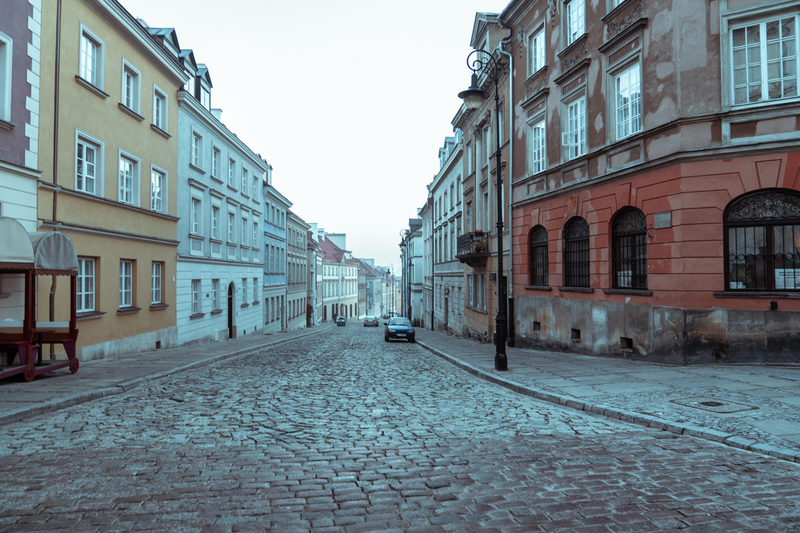 I absolutely adore the Warsaw old town, which is really not that old, remember? In terms of quaintness, it’s like Disneyland. 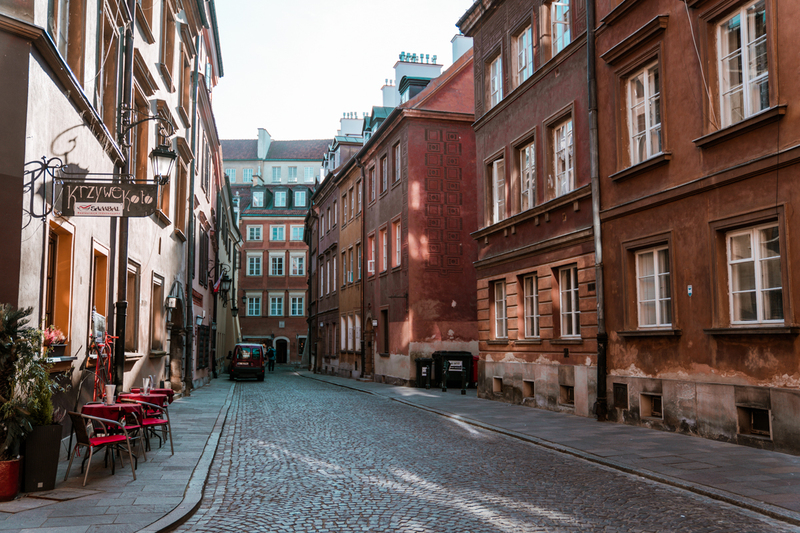 So I would not hesitate to recommend staying in the old town of Warsaw. I was working with the Polish National Tourist Office and they arranged the Castle Inn for us. It’s well priced and I believe it’s the only hotel in the old town, as the rest are apartments or hostels. Right in the old town across from St. John’s Cathedral and a couple minutes walk from the market square, it is wonderfully located and adorably quirky. Each of the 22 rooms are themed and no two are alike. It was constructed from what remained of a 17th century tenement house and therefore has no elevator. Possibly the best way to stay in Warsaw, is by renting an apartment. Sometimes the price is better, the locations can’t be beat, and you have the feeling of a being a local. Condo Hotel Mondrian Market Square – It doesn’t get better located or more luxurious and stylish than this. With views of the market square, this apartment is rated a 10. Julia’s Apartment Warsaw Old Town – No less appealing, but perhaps a bit more affordable for a perfectly located and rated apartment is Julia’s, which is often booked and unavailable. 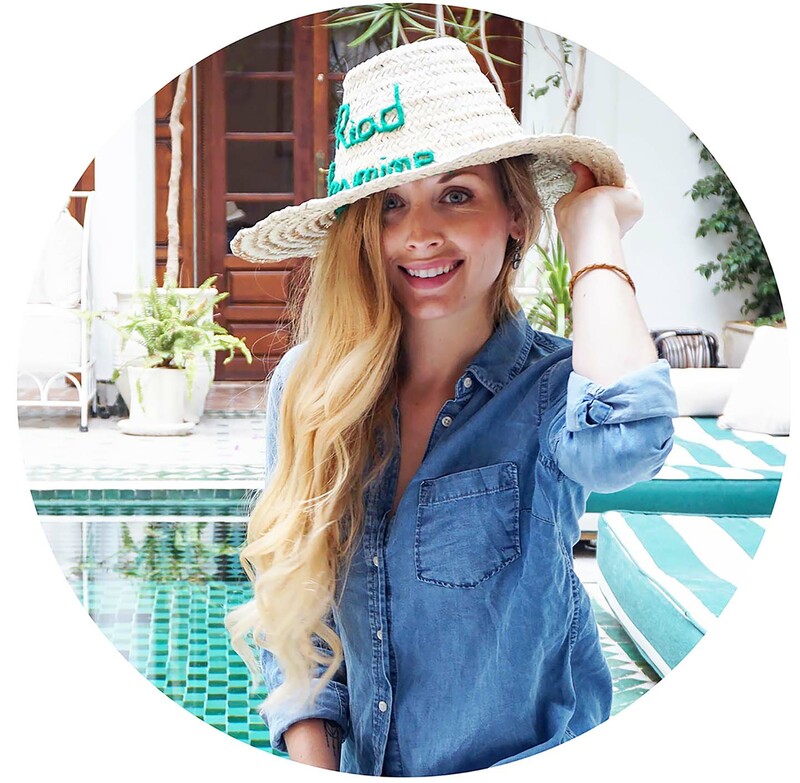 Apartment Mish Mash – Perfect for a solo traveler or couple on a budget who still want the comfort of a private bath, a kitchenette, great old town location, and awesome reviews. Hotel Bristol – The best example of historical luxury in Warsaw, Hotel Bristol is along the Royal Route just minutes from the old town. H15 Boutique Hotel – Stylish luxury with a 5 star restaurant. Raffles Europejski Warsaw – Prestigiously located along the royal route and operating since the 1800’s, this luxury hotel combines classic and contemporary. If you’re looking for a spa hotel, look no farther. Polonia Palace – 4 Star historical elegance. Hotel Le Regina Warsaw – 5 star award winning hotel in Warsaw’s New Town. Gorgeous and elegant with a lovely spa. 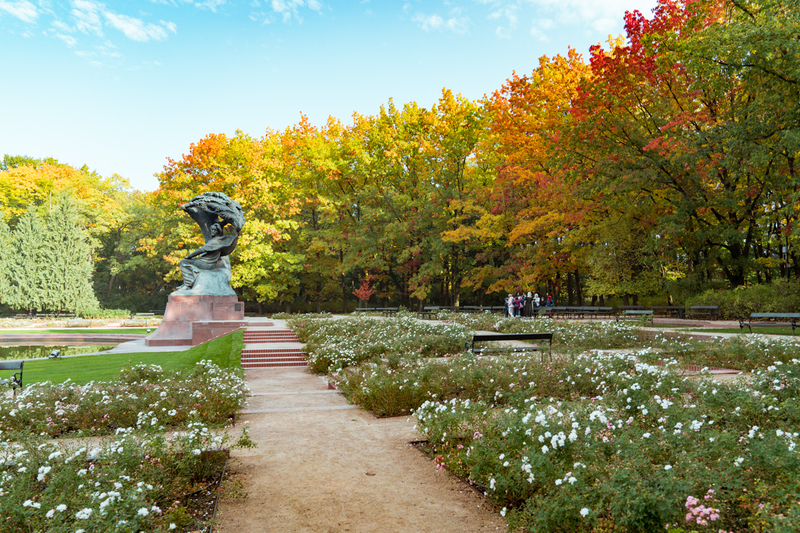 There are plenty of things to do in Warsaw, whether you have mere days or much longer. I only had 2 days in Warsaw, which is clearly not enough to see everything. But our two days in Warsaw were jam packed with seeing the highlights of the city with our guide. Undoubtedly my favorite part of Warsaw, because I’m a sucker for fairy tale like towns and squares, the Warsaw Old Town is like a story book or Disneyland. You’ll find tons of cafes, colorful shops, decorated storefronts, cobblestone, and magic. The old town is easily walkable and you can wander the streets and along the barbican (defensive wall) by the river. Check out this quirky bike shop where you can also rent a bike to travel around town. Also an easy walk is just north of the Old Town beginning at the barbican to Warsaw New Town. 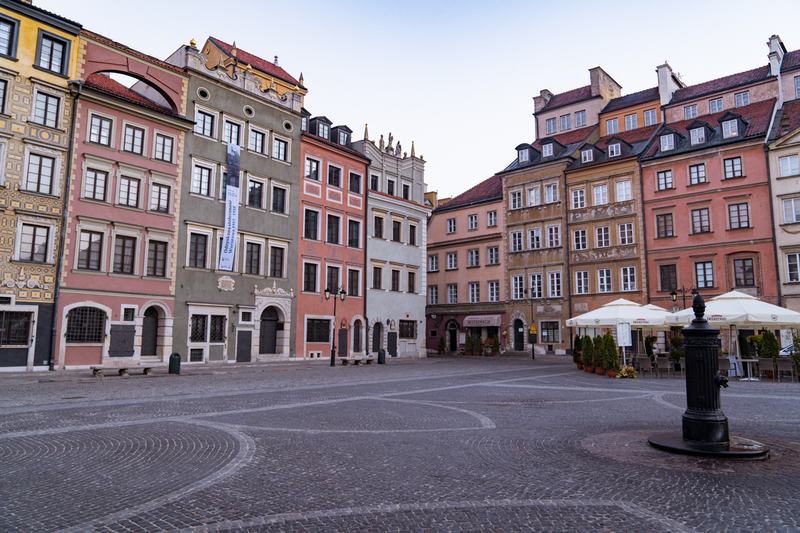 It’s called the New Town because it was the first area of Warsaw to be built outside the walled old city in the 14th century. It was also destroyed during WW2 and rebuilt after the war during communist times. 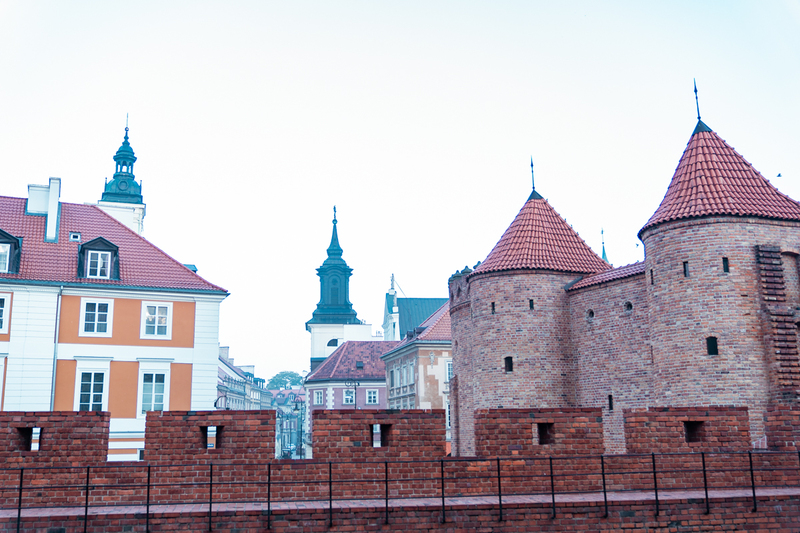 This castle is located at the entrance to Warsaw Old Town and is the dominating architectural feature of what’s called “Castle Square.” It served as the residence for Polish monarchs for centuries. 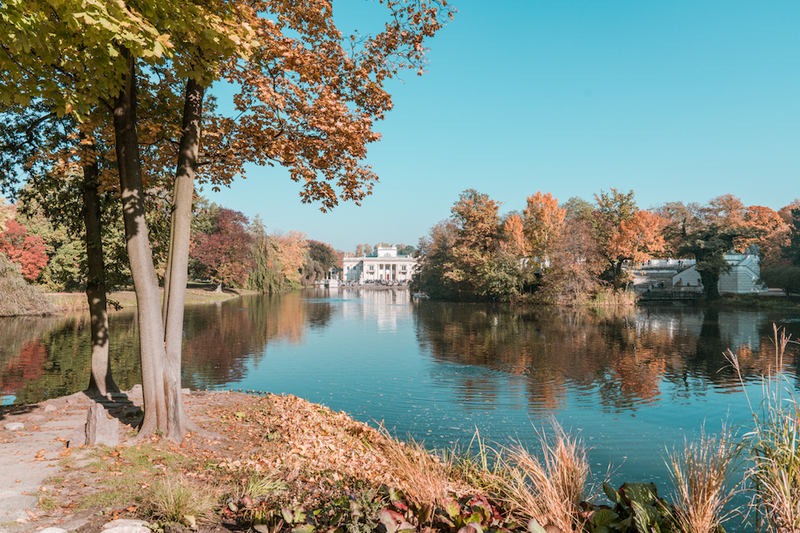 Of course it was destroyed by the Nazis and the Royal Castle was rebuilt, now serving as a popular museum housing exhibits of what is left of the original art after the war. You can find hours and prices for tickets on their website HERE. 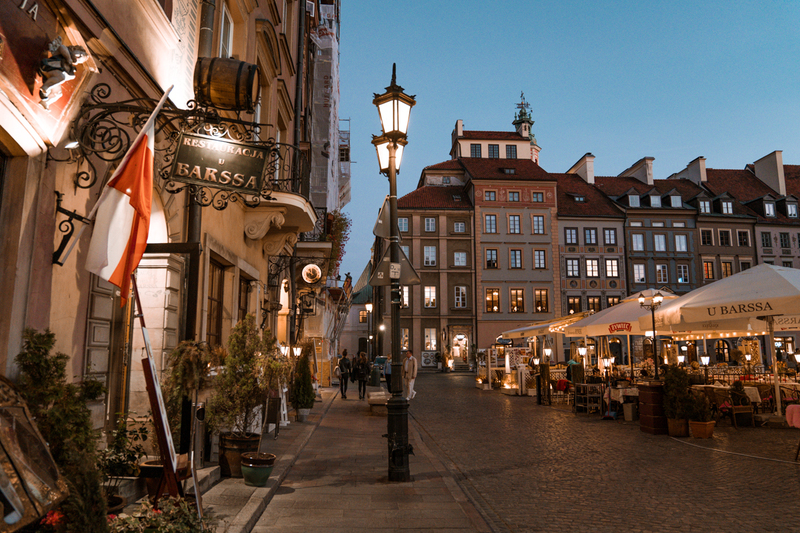 The royal route in Warsaw begins at the Warsaw Castle Square and heads south along the prestigious street of Krakowskie Przedmieście, where there are numerous historical sites like old manors, palaces, and churches. Examples include the Presidential Palace, Warsaw University, and Hotel Bristol. The buildings along this street were also rebuilt following the war. I’ll admit, I’m not a huge museum buff. There are plenty in Warsaw to keep a person busy, and if I’d had time, I would’ve enjoyed a few of them. Examples include the Warsaw Rising Museum, the Chopin Museum, the Neon Museum, the Copernicus Science Center, and more. 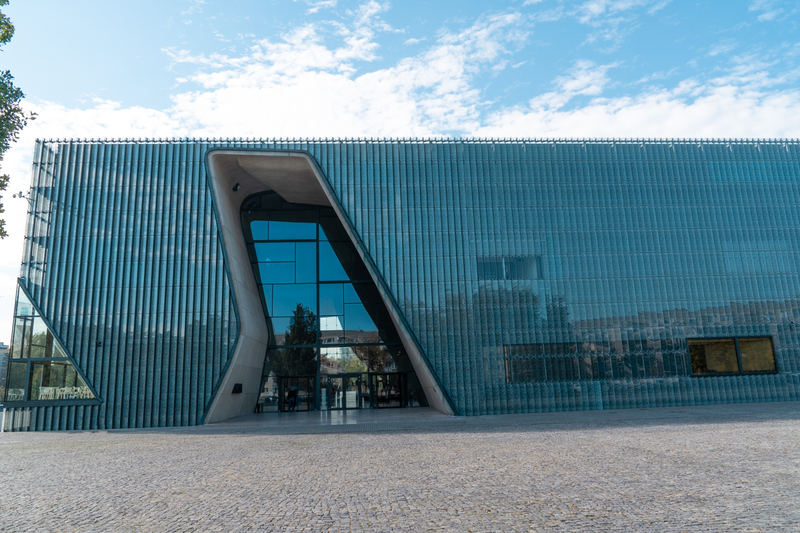 Of all of them, our guide chose to take us to the POLIN Museum of the History of Polish Jews and I was blown away. One of the most unique and interactive museums I’ve ever seen, the 1000+ years of history of the Polish Jews unfolds before you as you walk through the exhibition. You can interact with touch screens, open drawers, see artifacts, photographs, watch videos, and walk through scenes in history. If you visit one museum in Poland, and have any interest in the history of the Jews in Poland, you should not miss this. Possibly the most notable building in Warsaw, and the tallest building in all of Poland, the Palace of Culture and Science was built in 1955 and serves as venue for cultural activities such as concerts, theater, as well as a library, cinema, and offices. 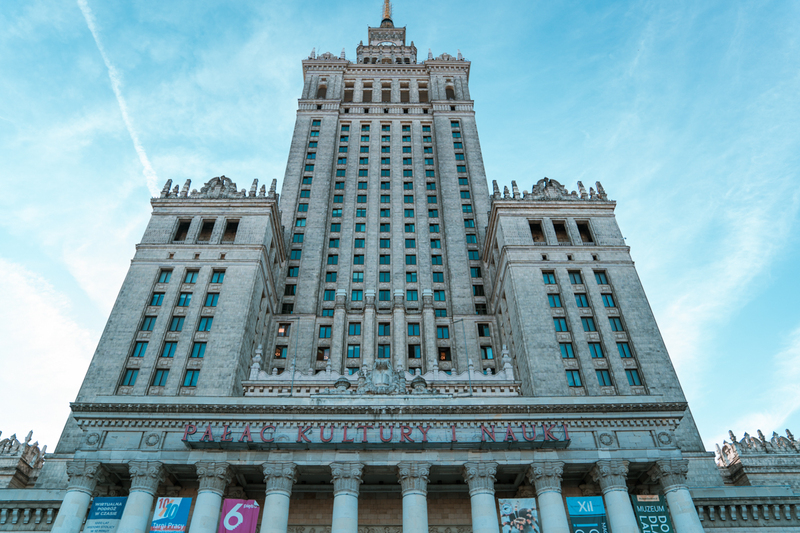 A gift from Stalin to the people of Poland, the building was originally named the Joseph Stalin Palace of Culture and Science but the name was later revoked after the death of Stalin. You can take the elevators to the viewing deck on the 30th floor daily from 9am to 8pm. Although this view lacks the medieval charm of the Old Town, it’s nice to get a feel for the contrast of what makes up the real Warsaw. This “Royal Baths Park” is quite literally one of the most impressive city parks I’ve seen, right up there with Central Park in NYC, on a smaller scale. 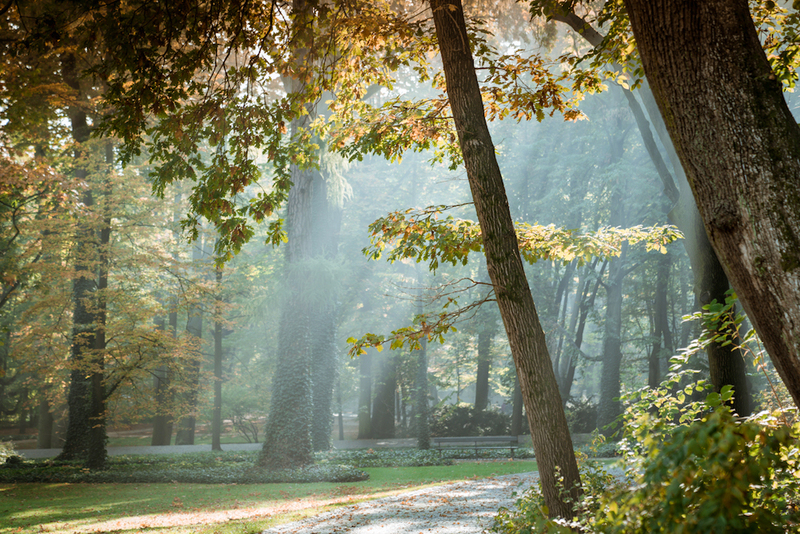 It is the largest park in Warsaw and you could easily wander there for a few hours. Designed in the 17th century, the park and later the Palace of the Isle later became the king’s summer residence and an important cultural center. During WW2, the Nazis took over all of the buildings and closed them to the Poles. At the end of the war, the Nazis did significant damage to the structures but restoration efforts continued for decades. 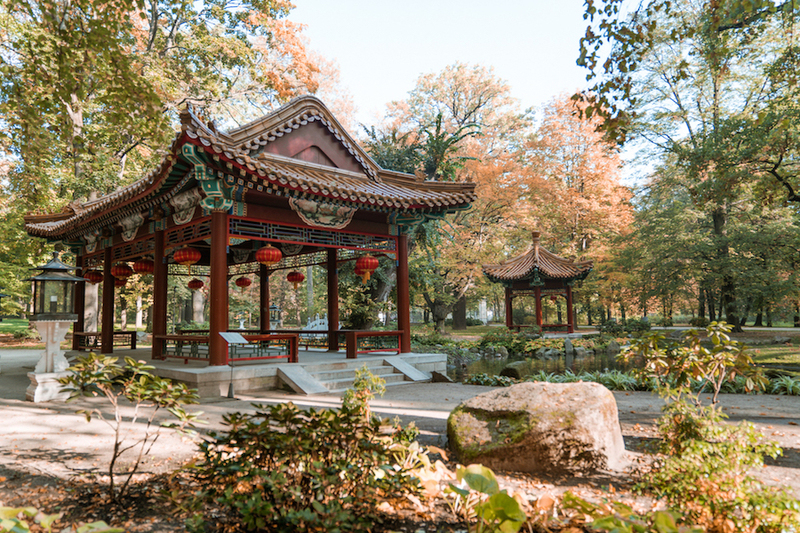 Seasonal cultural events occur at the park such as outdoor Chopin concerts and performances at the amphitheater. Although this doesn’t sound like the most interesting place to go as a tourist, I was totally surprised. 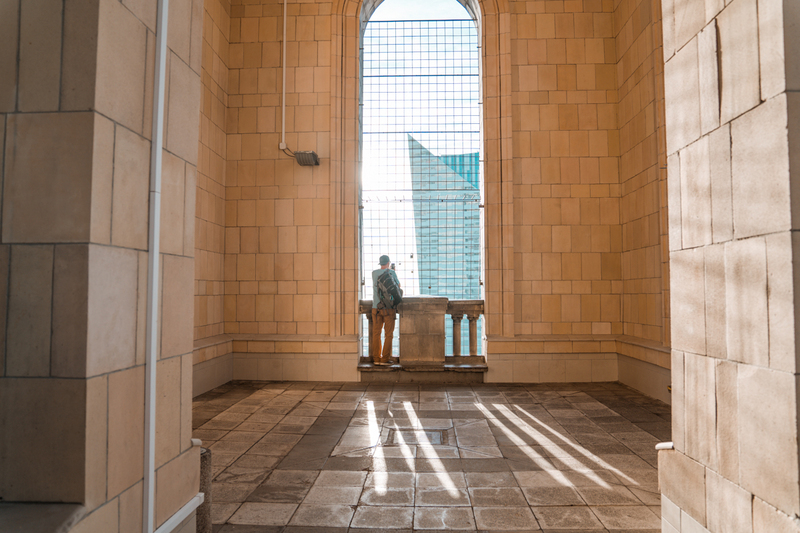 The Warsaw University Library rooftop is one of its best kept secrets: a hidden oasis with views of the city and river. 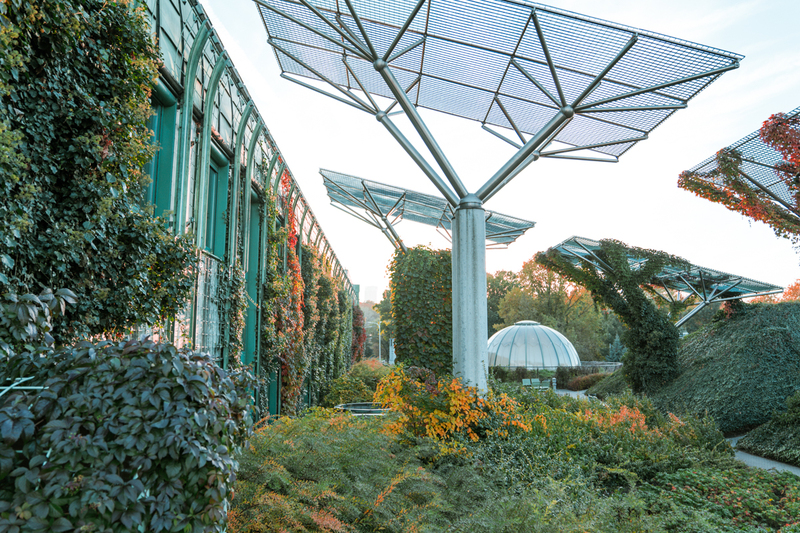 This impressive green space with an industrial urban flair is the perfect spot to have a picnic, meet with friends, or even just get away to study or read a book amongst the plants. Bridges and paths meander through the jungle passing streams, fish ponds, sculptures, and more. The nice thing is the Warsaw University Library is just about a kilometer south of Warsaw’s Old Town so you can easily walk there and it’s free to explore on your own. Definitely a worthy stop when visiting Warsaw. 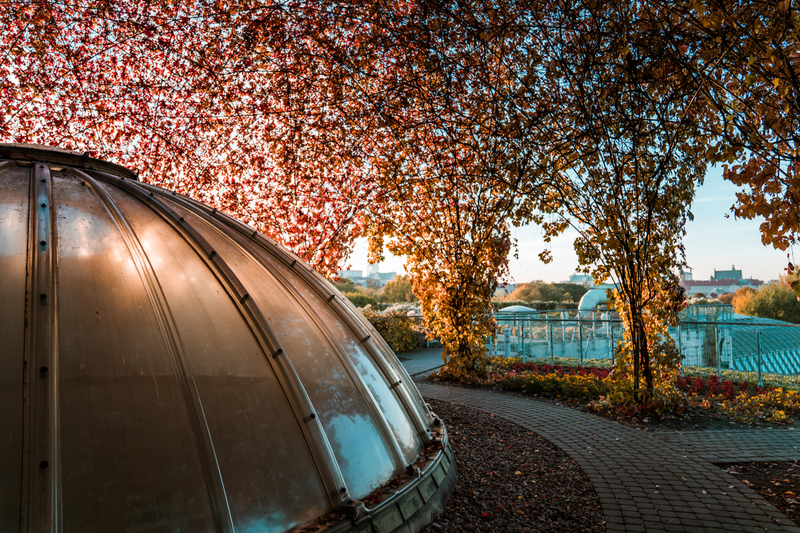 The rooftop is very photogenic and it’ll be something unique that many tourists do not see when visiting Warsaw. 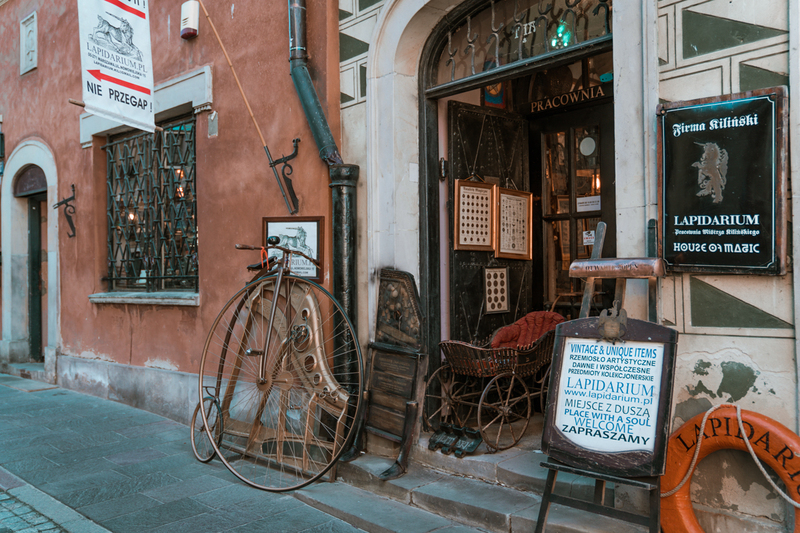 I hope you’ve enjoyed this roundup of where to stay and my favorite things to do when visiting Warsaw. Poland has so many incredible cities. And although Krakow has my heart as my favorite Polish city, I was wrong to assume Warsaw wouldn’t enchant me as well. In fact, the city’s history is one of the most impressive and endearing things about it. **This post was written in partnership with the Polish National Tourist Office. Warsaw was not on my radar but it looks like a gorgeous city! I’m also a sucker for a pretty old town, especially when combined with historical sights and lovely parks. Thanks for all the helpful info! Thanks Claire! Yes it really is a unique and adorable city. The old town is so picture perfect. I’m a sucker for those too! Ok – looks like this will be on my list of places to visit. Thanks for the detailed information about where to stay and what to see. Yay! Thanks Adele! Poland in general is one of my favorite European countries. All the cities I’ve visited there are stunning and totally underrated.